In a memoir as important to human history and understanding as it is to the specific locale’s true representation of human spirit, Flem R. Messer’s plain-spoken but deeply meaningful book, An Appalachian Boy’s Life, relates the tale of a time and place when self-sustainability was a practice, not a goal; when family responsibility and support were extended into something called neighborliness, not confined and hoarded selfishly; and when gratitude for the simplest generosities and gifts was profoundly felt by both children and adults. Mr. Messer’s recollections of this incredibly human time and place are told so matter-of-factly and with such straightforward candor and lack of guile that one finds oneself nostalgic for a past they never knew. Not for the hardships, perhaps, nor for the endemic episodes of violence, though they also created the neighborliness, gratitude, and generosity, but definitely for the enduring sense of family love and mutual cooperation they engendered. Mr. Messer is speaking of his childhood home: Appalachia. Well known for its often-desperate conditions of general poverty, Appalachia is less familiar for the strongly independent quality of its enduring people. 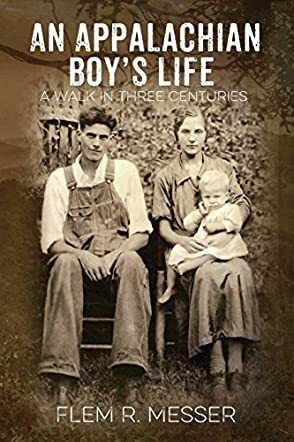 In a quiet but persistently authentic voice, Flem R. Messer’s compelling tale of An Appalachian Boy’s Life does much to silence the ignorance of strangers while restating the source of humanity’s original greatness: an overriding devotion to family and community based on survival and self-sustaining independence. Mr. Messer’s later efforts to further the area’s educational and financial concerns are also well documented. This masterfully revealing book rightfully deserves a significant place among our national historical archives as well as serving as a sociological resource for understanding any dramatic cultural change.